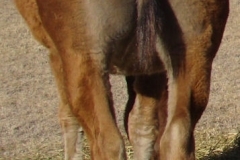 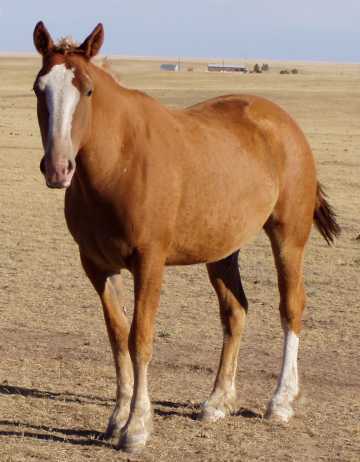 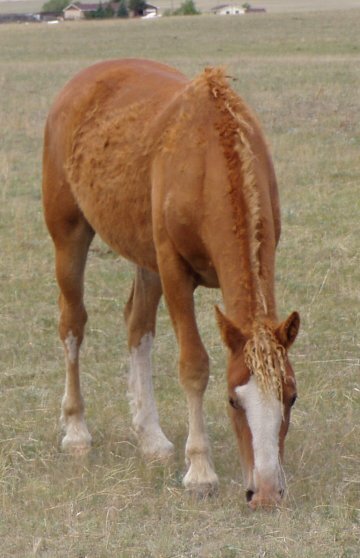 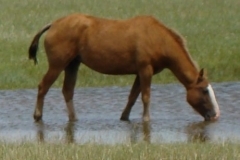 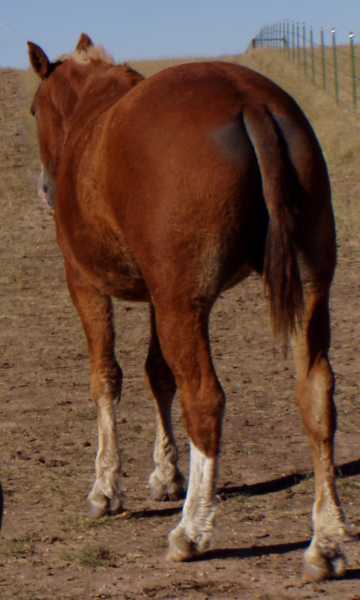 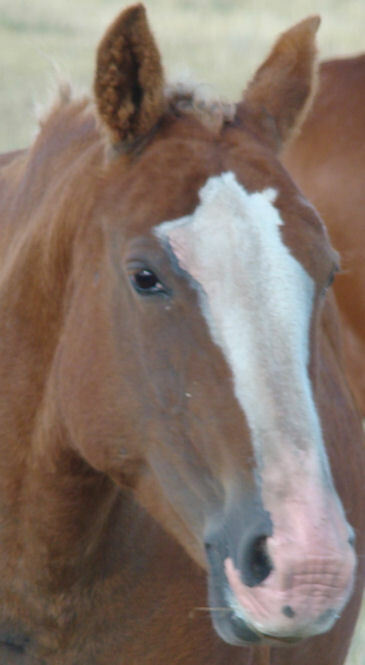 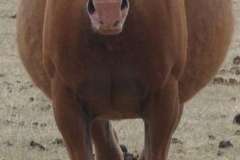 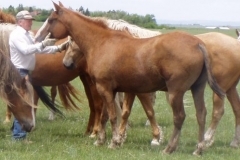 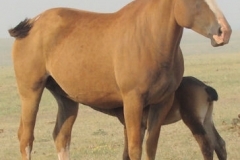 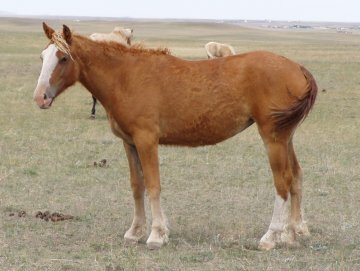 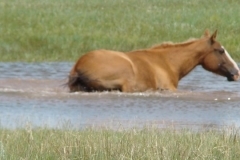 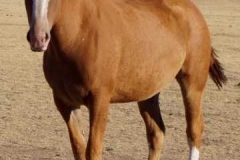 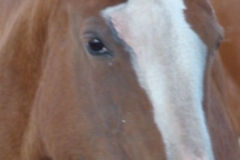 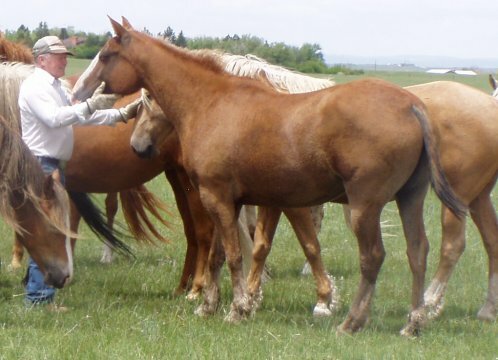 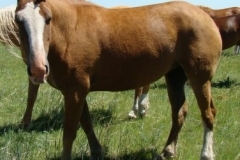 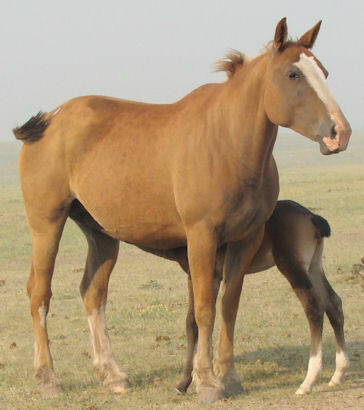 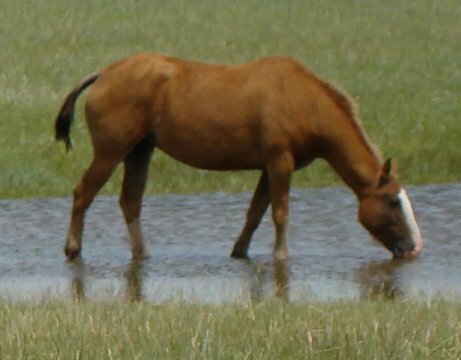 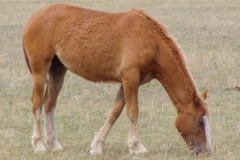 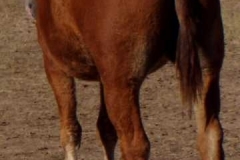 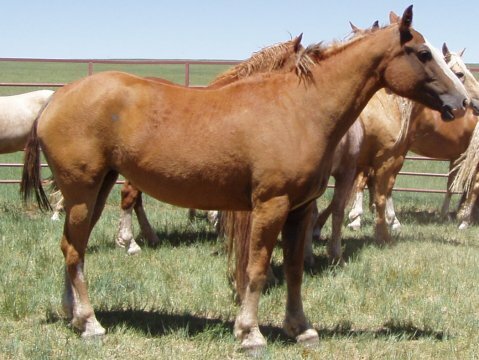 Cherry, is a sorrel extreme curly foaled in 2002 and has her sire’s (Sed) solid rump and her dam’s (Fron) long legs. 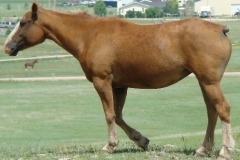 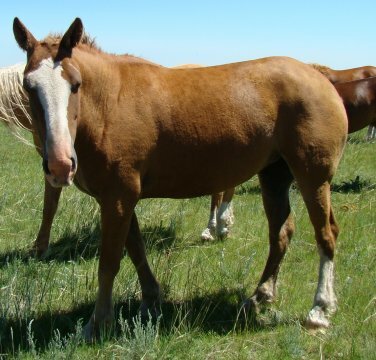 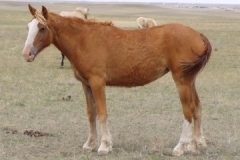 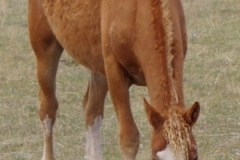 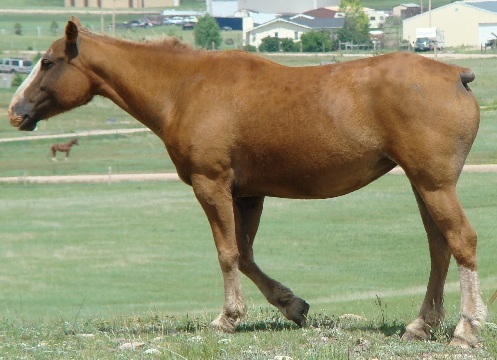 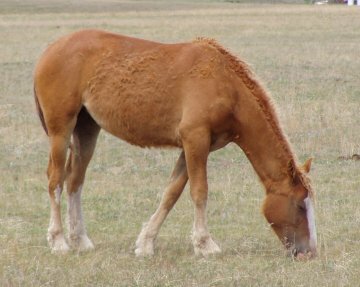 While homely in the manner of an extreme curly, if one looks past the lack of a mane and tail and the thinning body hair, Cherry is a classy, solid, well formed mare. 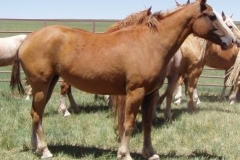 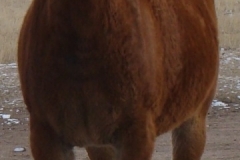 She seeks out human attention without being disrespectful and would be an asset to any breeding program wishing to focus on curls and stock horse type Curlies or to a home seeking a sound riding companion.